When I think of horror, I rarely think about multiplayer, but that’s no longer the case. The rise of asymmetrical multiplayer horror games has caused me to rethink what I assumed to be true about the genre. While competitive shooters have never really done it for me, the idea of being a survivor or supernatural killer fighting with or against real people sounds pretty awesome. Enter Dead by Daylight, a new asymmetrical horror game for the PS4 that pits 4 survivors against 1 killer. Is this multiplayer horror experience bloody good, or does it murder your hopes and dreams? Read on to find out, but keep your head on a swivel, the killer can come from anywhere. It’s worth noting that Dead by Daylight has zero single player content. The game exists entirely in an online space. Normally, this would tell single player gamers like myself to steer clear, but Dead by Daylight manages to buck the trend of other multiplayer-focused games, and gives you just enough lore and story to keep you coming back. The premise is an excellent hook (pun intended, you’ll see what I mean in a second). As the killer, you are the servant of some lovecraftian horror called The Entity. Your master demands sacrifice, and so your goal is to incapacitate the survivors and haul them off to sacrificial hooks scattered across the map. Once you place them on the hook, the ritual begins. The Entity manifests itself for a brief moment and swiftly ends the life of your victim before pulling them into a cosmic portal. It’s a really cool concept, and immediately stirs up discussion amongst a group of friends. Within the game itself, little things like killer and character bios give you a better grip on the game’s lore and universe. You can find plenty more speculation and discussion online, and while I certainly wish more lore and story could be found in the game, there’s enough here to capture the attention of any horror gamer. I think a single player mode that delved into the story, or more lore in the multiplayer would have gone a long way towards cashing in on this premise. As it stands, the idea is incredible, and its certainly enough to grab you and keep you playing. Still, I can’t help but wonder what could have been. The premise and killers are so interesting, it’s only natural that I wanted to know more about them and the game’s world. Despite this, it’s a testament to how well the game’s premise is used, even if it feels like it could be utilized for so much more. While I had heard of Dead by Daylight on the PC, I had yet to play a multiplayer game like this, and I was wildly intrigued by what I had seen and heard. For those of you that have never tried a game like this, you're in for a real treat. You can choose to play as a survivor (on a team of 4), or as the killer (all by your lonesome). While it would seem like playing as the killer is the only clear option, a good team of survivors can run circles around a killer who doesn’t have their head in the game. Killers are trying to sacrifice players to The Entity, while survivors are trying to turn on five generators so they can open a gate and escape with their lives. Let’s start by talking about my experience as the killer. There are six killers to choose from in the console version of Dead by Daylight. While we don’t have Michael Myers (yet), the other six killers are a blast to play as. They each have their own signature abilities and skills that give them each a balance of advantages and disadvantages. My personal favorite was The Nurse, mostly because of her “blink” ability that is reminiscent of Corvo’s blink in the Dishonored series. This skill allows you to quickly teleport across a short distance and close in for a kill. The downside, is that when you land, you’re temporarily stunned, which takes control away from you and dampers your vision for a few seconds. Of course, The Nurse is just one example of the killers on display. You’ve got the horrifying Trapper, Hag, Wraith, Hillbilly, and Doctor to try out as well. Before we dive into some of the other mechanics, let’s talk about the survivor side of things. Survivors in Dead by Daylight are functionally similar in terms of their skillset, but things quickly change as you level them up. You can choose your slasher victim of choice and customize them with some simple cosmetic items. When you dive into the game, you can work together with your teammates or go your own separate directions. In my time playing I saw a mixture of both strategies. Unless the killer finds you hiding in a shack or gets you with a special attack, they’ll need to hit you twice before you’re incapacitated. After the first hit, you’ll just be injured, but you can still flee. Survivors can assist each other in a number of ways. You can work together to repair generators, or heal each other. You can also saved other players from The Entity by lifting them up and off the hooks that the killer places them on. If you’re spotted by the killer, you can find a hiding spot, and knock over pallets to block their path of pursuit. As you level up, you’ll also get the ability to equip items and perks that offer other advantages. You’ll start out feeling like a red shirt, but with enough time, you’ll become a worthy adversary to the killer. It’s a shame that survivors can’t fight back more, but the helplessness really drives home the horror aspect of the game. The sight of the killer moving in the distance as I tried to find a means of escape was always an adrenaline rush. It’s even more scary knowing that the killer is being controlled by another player. It makes them unpredictable and uncertain in a way that AI can rarely achieve. In this sense, Dead by Daylight succeeds by virtue of being a multiplayer game. When you’re up against another player, no two matches are ever the same and despite seeing killers more than once, you’ll never know how that specific player is going to utilize the tools available to them. The fundamentals of multiplayer lend themselves really well to the horror genre, but it wasn’t until I played Dead by Daylight that I realized how well this formula works. The leveling system, known as the “Bloodweb” is also procedurally generated, so the skills you get to choose from are never the same. The sense of progression is excellent, and the allure of unlockables, skills, and items keeps you coming back for more. Yes, it’s fundamentally one mode, and yes, it’s only a few maps, but the placement of generators, items, and interactive objects is always random as well. It doesn’t have enough content to justify a $60 game, but Dead by Daylight is half that price. I would love more of everything. More killers, more maps, and more modes, but I cannot deny for even a second that I didn’t have a complete blast with what was on offer here. The style of Dead by Daylight is excellent. 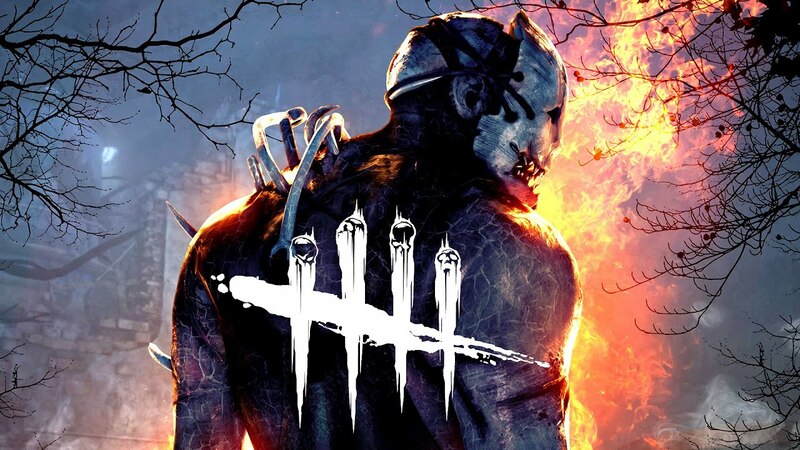 From the cool tally mark logo consisting of four survivors and one slash through them, to the classic look and feel of the killers, the whole thing feels like a love letter to the genre. Even the maps themselves have a decidedly “slasher horror” feel to them. Most importantly, though, Dead by Daylight is fun. This is especially if you have a group of friends in the same room spectating, or playing online with you. Since this is a multiplayer game, your mileage will vary. I only had a couple issues with matchmaking and lag, the game otherwise looked and played great on my PS4 Pro. My experience was, for the vast majority of the time, really positive. It’s a game I could see myself coming back to again and again, which is difficult for a multiplayer game to do. I prefer playing as the killer, but I think both sides of the equation are a lot of fun, and playing as the survivor can be downright terrifying. Beyond some hiccups in performance and one night of bad matchmaking, my only complaints with Dead by Daylight stem from the fact that it’s an incredible foundation, but it could do so much more with the premise. On top of that, as fun as the one mode is, it could get old after a while, but I would never call it boring. You won’t marathon it, but trust me when I say that you’ve probably never played anything like it. The Entity is calling, and I for one, think you should answer.